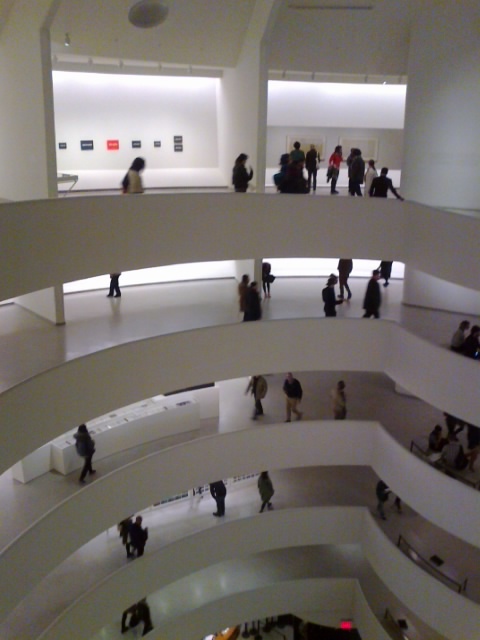 I went to a very interesting show, On Kawara – Silence at Guggenheim Museum. Since On Kawara is a well-known Japanese artist, I know his work quite while. But I had never seen this volume of his work. 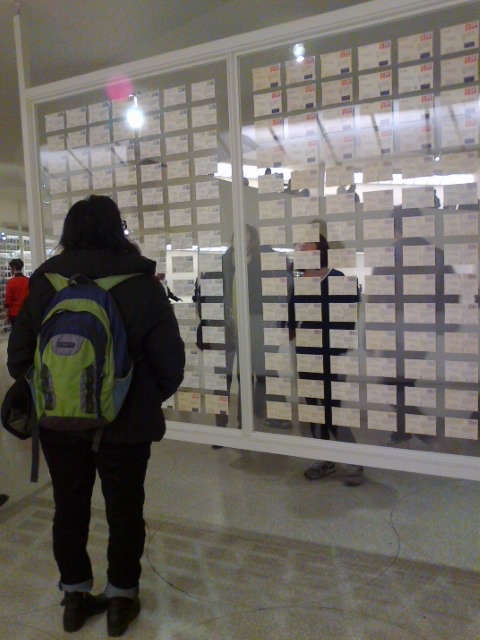 This is the first full representation of Kawara’s output, beginning in 1964 and including every category of work, much of it produced during his travels across the globe: date paintings (the Today series); postcards (the I Got Up series); telegrams (the I Am Still Alive series); maps (the I Went series); lists of names (the I Met series); newspaper cuttings (the I Read series); the inventory of paintings (Journals); and calendars (One Hundred Years and One Million Years). I think his work is performance art in funny way. We are not seeing when he is performing but seeing the record of his performance.